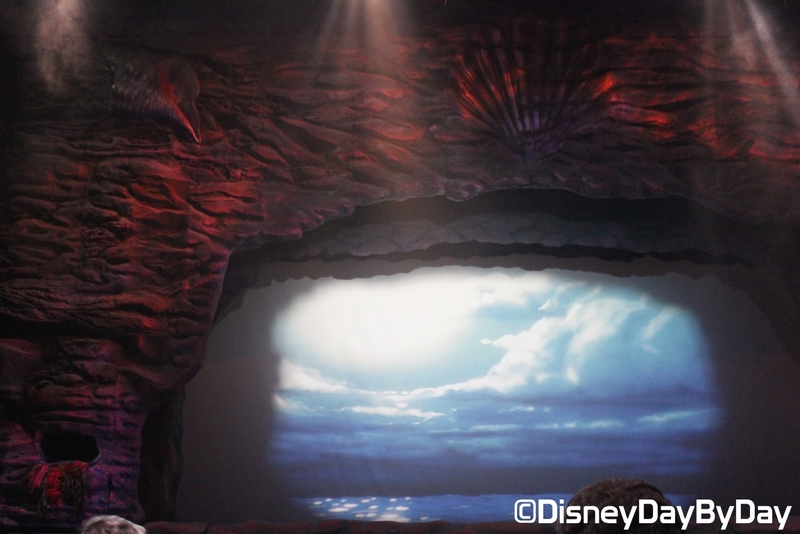 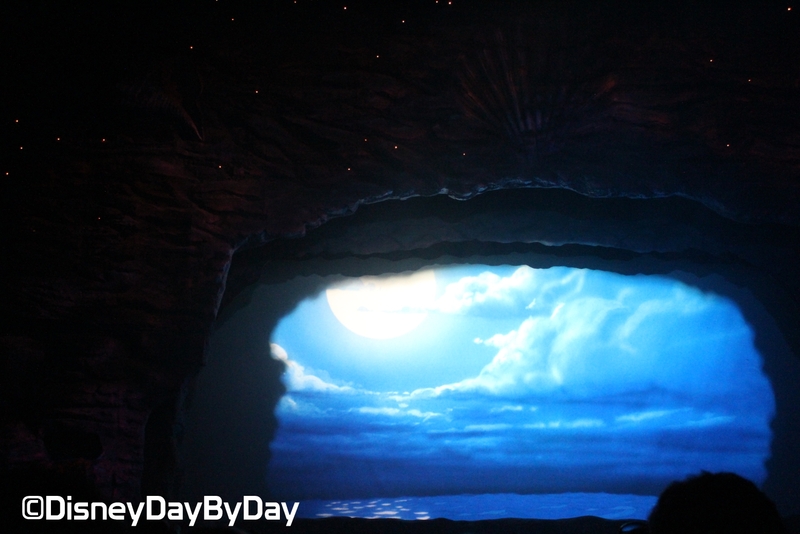 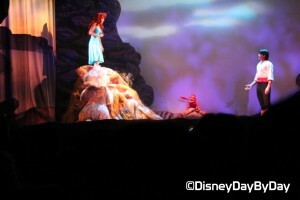 In this live action stage show you’ll get to watch a shortened version of The Little Mermaid movie. 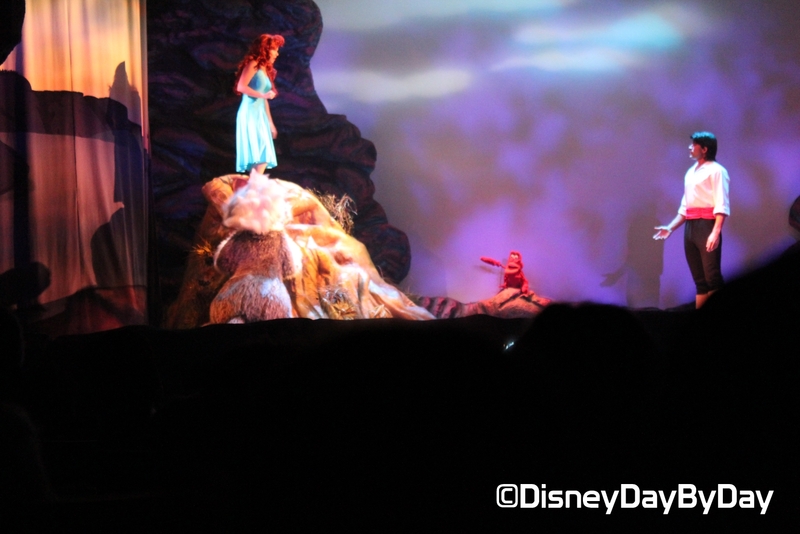 All from the comfort of your seat, you’ll see your favorite characters, from Sebastian, to Prince Eric, and of course Ariel! One of our favorite parts? 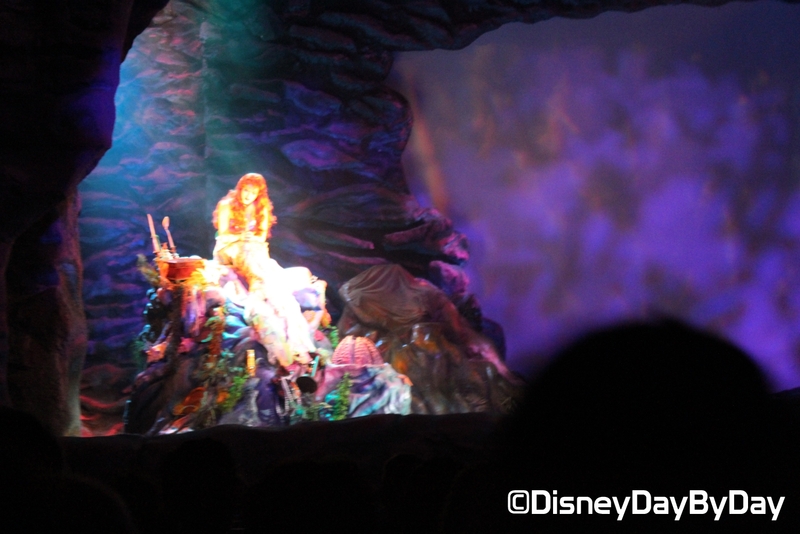 The glowing, neon puppets singing Under the Sea! With special effects such as laser lights and falling water, you’ll truly feel as if you’re in the ocean with Ariel. 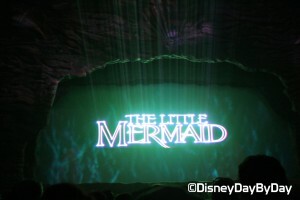 Parent Worry Note: This is a cute show and Little Mermaid fans will adore it. 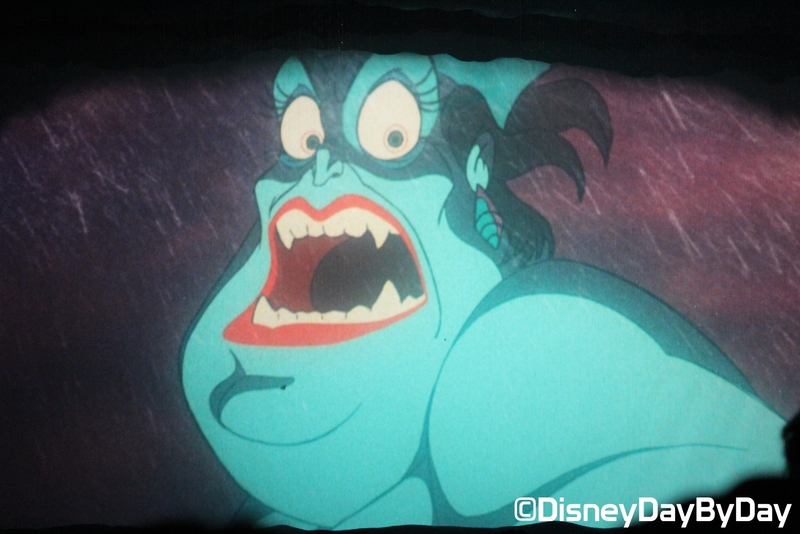 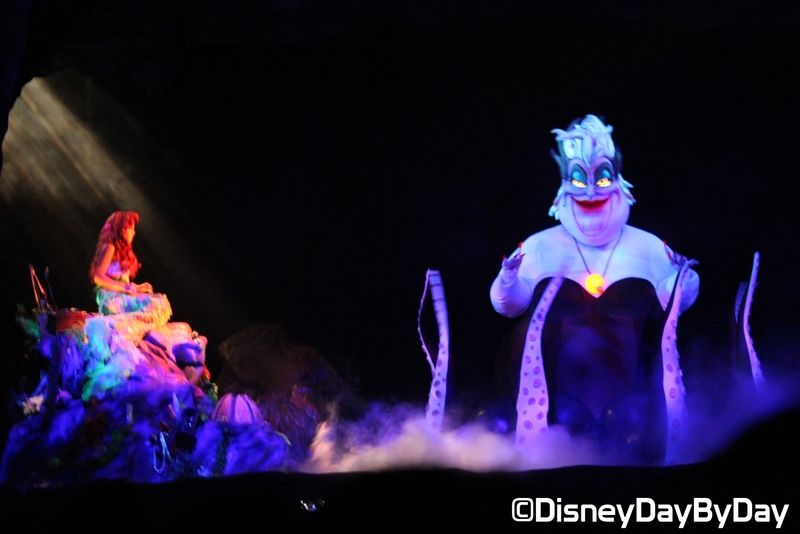 But the attraction does have a massive puppet Ursula who appears on stage, and let’s face it, we’re all a little afraid of Ursula. If you have a younger child who gets nervous in the dark, especially when a giant octopus is laughing maniacally, you might want to skip this show. 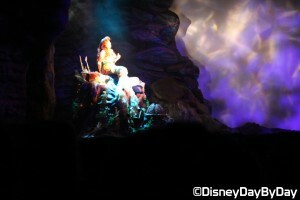 This is also not the place for restless kids who don’t like to sit still. 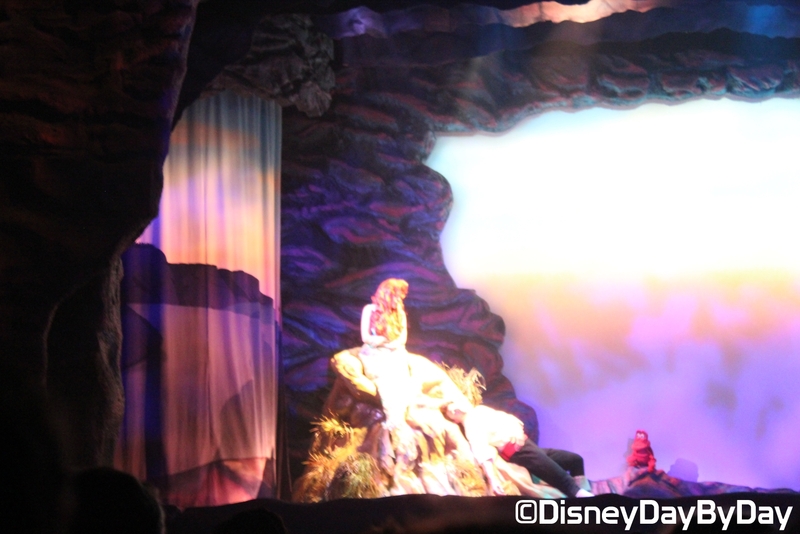 Final Note: This is a fun show with live actors and neon glowing puppets. It’s a nice place to go inside and sit in some air-conditioning for a while. 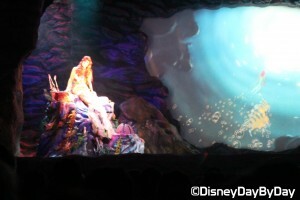 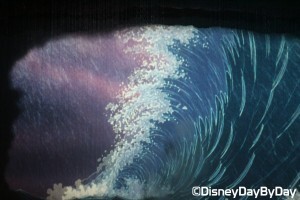 Those who love the theater and The Little Mermaid will particularly enjoy this fifteen minute attraction. Be sure to check the park for times!